Now get Top Quality Web 2.0 blog related articles that will contain your link(s)/keyword(s). The most popular SEO campaigns are to get some of Web 2.0 backlinks as tier1, then get some quality (articles or profiles) backlinks for these created web2.0s as a link pyramid. 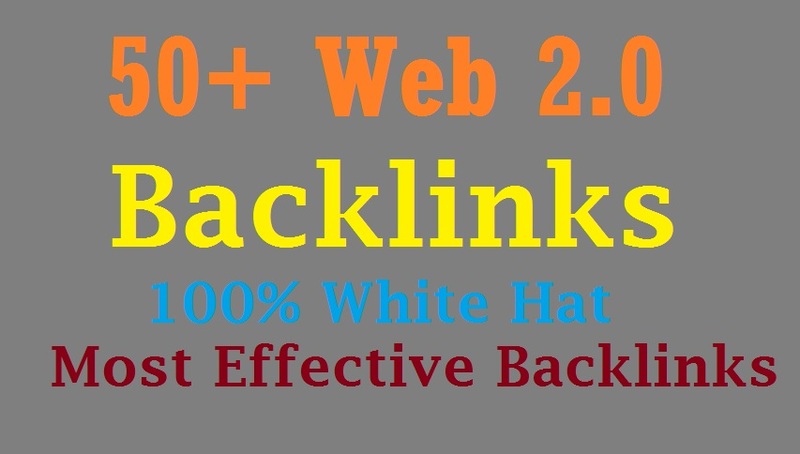 - Web 2.0 backlinks are more reliable & Powerfull. - 100% Google Panda, Penguin and Hummingbird Safe. - Maximum number of do follow links. - High Authority Back links. - I accept multiple urls and unlimited keywords. 1: Your method is 100% white hat method? A: Yes, We use only white hat method, we don't believe in black hat methods. 2. Are these links do-follow? 3. Are these backlinks Google safe. 4. Do you accept all Niche Website? 5: Are Non-English Keywords are allowed? A: Yes, All Non-English Keywords are Allowed e.g: Arabic and Hebrew Keywords etc. I Recommend to Provide 1 Articles of your Non-English Language.